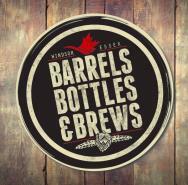 Barrels Bottles & Brews are booming again in Windsor Essex! As the birthplace of whisky in Canada, the tradition continues today with a new generation of craft brewers and distillers. Visit one of the stops along the Barrels Bottles & Brews Trail where you can experience the history of Canadian Whisky, Prohibition, and enjoy a flight of craft beer or small batch-ultra premium spirits.